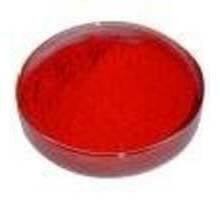 We are ranked among well-reckoned Manufacturers, Exporters and Suppliers of Acid Red 51 in Maharashtra, India. Our company produces it under controlled environment to ensure the dye is pure and compositionally balanced. We produce it in bulk and provide customized packaging solutions as well. Buyers can obtain Acid Red 51 from us at competitive prices.